Samsung fanatics might want to sit tight, because we have a great piece of news for you. Remember Tizen? Yes, we are talking about the same operating system which did not see much of a progress when they had begun their journey in the market. But their incessant efforts have finally become fruitful; and according to a recent announcement, Samsung will use Tizen in ‘all’ of their upcoming smart TVs. The main feature of this new line of smart TVs is a remodeled Smart Hub, which increases the efficiency and connectivity of the TVs. Apparently, the switch to the new operating system will enable the smart TVs to connect to other devices with a lot less effort, according to Samsung. 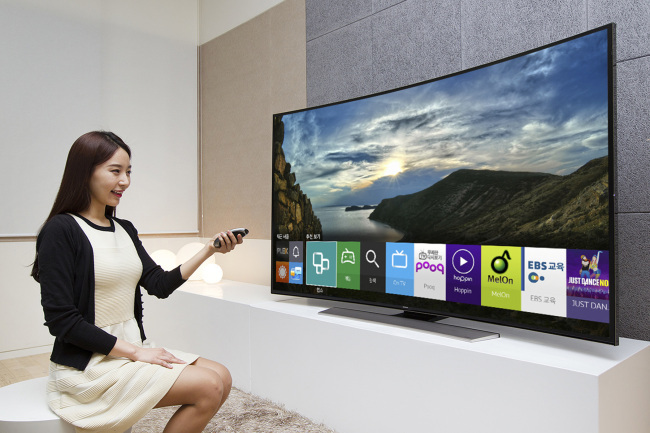 Media and data can be directly sent to these TVs with the help of Wi-Fi direct, and they will spontaneously look for Samsung devices nearby to connect to, so that people carrying a Galaxy phone or tablet can easily watch TV on those devices. This has been made possible because of the use of a technology, namely BLE or Bluetooth Low Energy, which possesses the properties to look for devices nearby. Also, users can now use a four directional controller to enjoy a better version of the interface. These Smart TVs can also run PlayStation Now, a cloud-based game-streaming service, which will be available in the market shortly. Although we haven’t gotten any detail about the price of these Tizen-run TVs yet, we hope to hear something soon from Samsung.